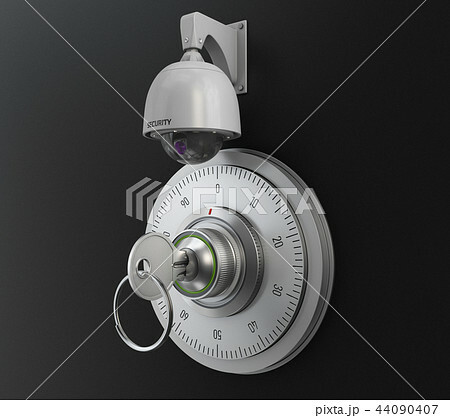 Realistic combination safe lock with CCTV camera. Isolated on black background. 3d Illustration.